I have decided that I need to just post more often with snippets of little discoveries I make rather than always trying to post longer, more in-depth posts every time. Maybe this will help me post more frequently! I see so many things that cause me to pause and think about the bigger picture when it comes to craftsmanship, design, and lifestyle in general so why not share that with you as well. Let’s see how this goes. 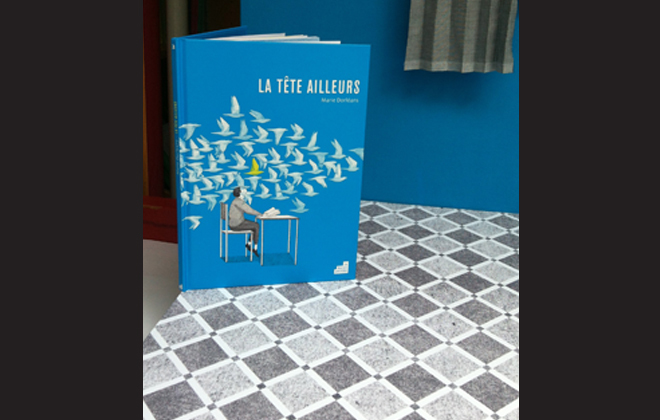 This image was taken in a book store window on the streets of Strasbourg. This lovely, lovely window stuck me as so special as someone clearly took a long time to make the book they were promoting come to life as a window display. Lovely paper cuts. The title of the book translates into “Head Elsewhere” and sinceI feel like my head is elsewhere a lot lately, that sure is fitting. 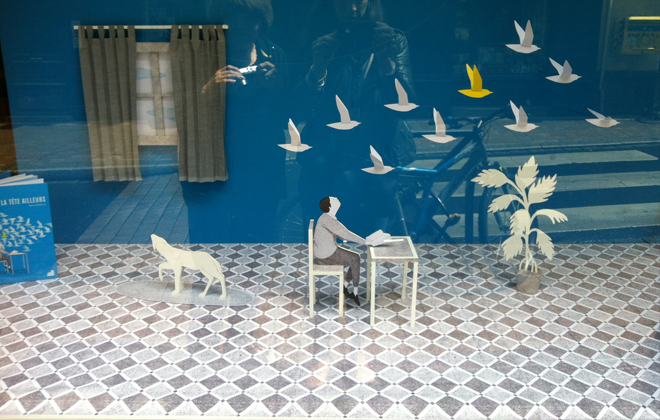 I happen to love the art of window displays and will definitely post on that many more times here. So there you have it. Totally short and sweet, isn’t it? Close up of the book cover. All images by Interior Monologue.